CHC's work was featured in a major photo exhibit in Moscow at the Moscow Center for Contemporary Arts which opened on World TB Day on March 24th. 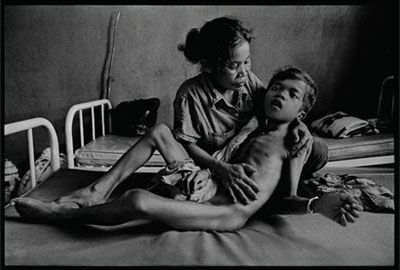 The photos by master photojournalist and war photographer, James Nachtwey, displays his groundbreaking work documenting the suffering caused by TB which he began in Cambodia with Dr. Anne Goldfeld in 2003. The exhibit, "Struggle for Life" which combined pictures by Nachtwey and text by Goldfeld, was originally displayed in Paris, Berlin, and Bangkok. In this updated version, previously unseen pictures of CHC's work with drug-resistant TB patients, children suffereing of TB and patients suffering of TB and AIDS, and CHC's groundbreaking community based model of care are displayed.